These lace-up Skechers D'Lites Glamour Feels Trainers have a coated leather & textile upper and are black with rose gold accents. They have a padded textile lining, also in black and the footbed has Air-Cooled Memory Foam technology for unbeatable comfort. 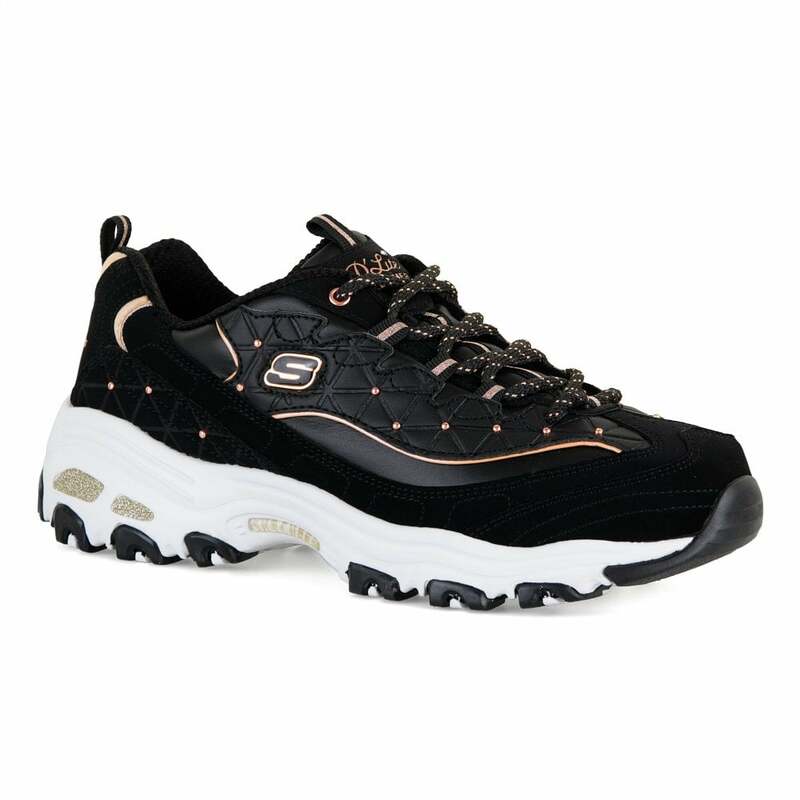 Skechers branding appears on the sides, heel & tongue and the thick white synthetic sole has gold coloured glitter detail at the heel as well as a black & white deep rubber tread for excellent grip.